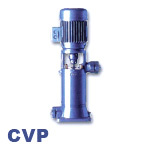 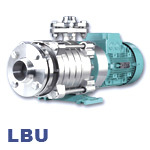 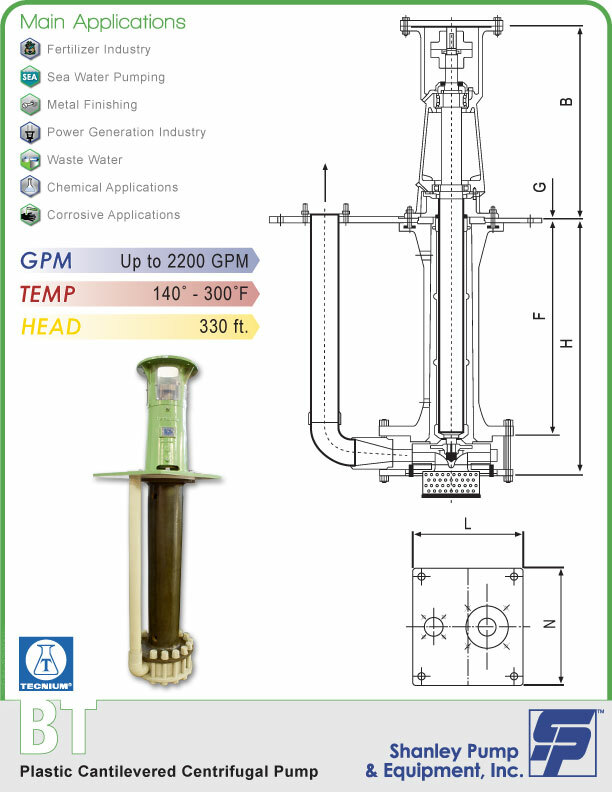 Shanley Pump and Equipment, Inc. and Liberty Process Equipment, Inc. are leading suppliers of progressive cavity pumps. 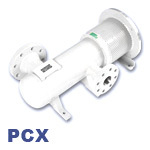 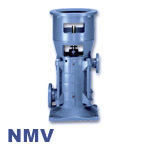 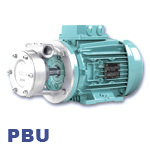 We have several complete pump product lines of progressive cavity pumps for abrasive pumping applications. 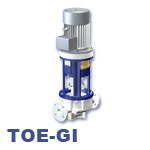 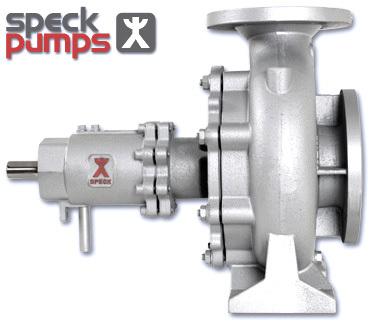 We stock very small pumps for metered flow applications from .001 gpm up to 20 gpm. 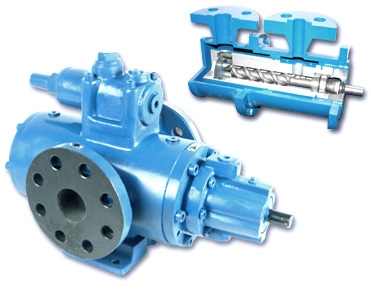 In addition we stock several industrial and sanitary ranges of progressive cavity pumps for flows from 1 gpm up to 2000 gpm. 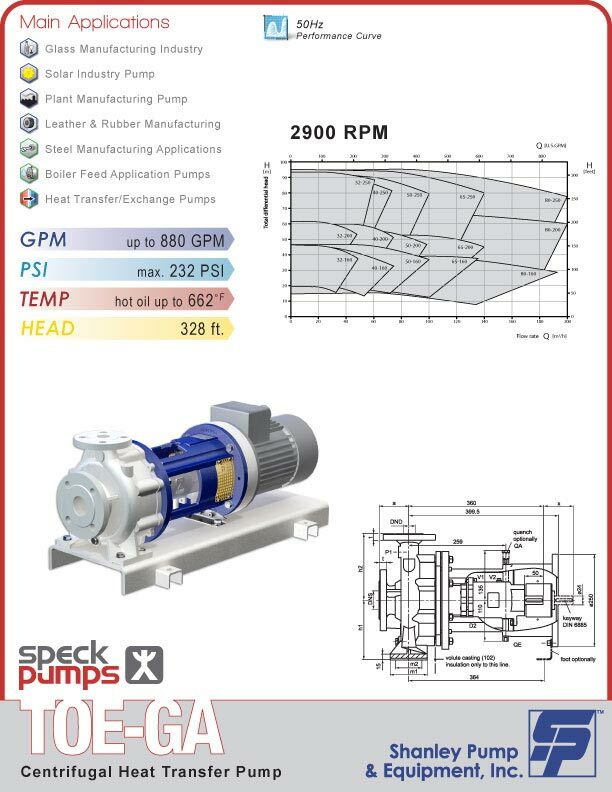 We can ship any of these pumps the day that you order them and we offer 24 hour pump service and spare parts for many other leading brands of progressive cavity pumps from our inventory. 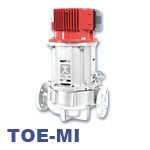 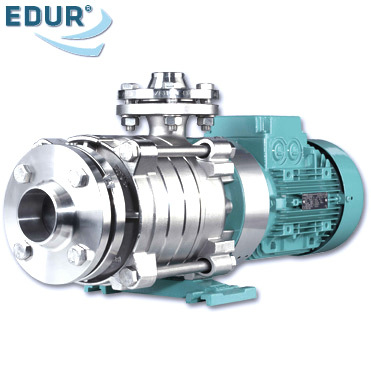 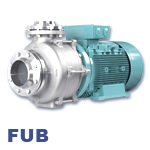 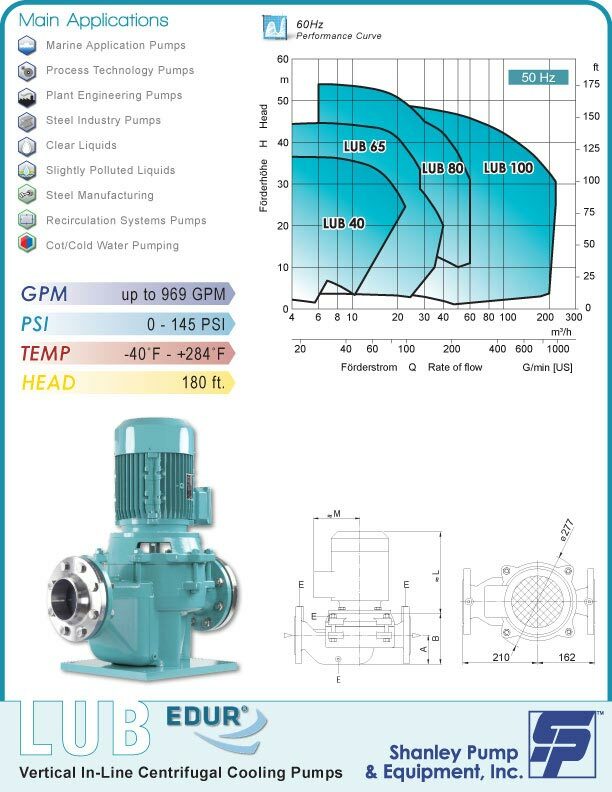 We stock EDUR pumps in sizes from 10 gpm up to 220 gpm. 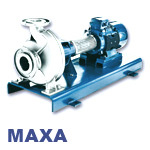 Pump materials available are cast iron, 316 stainless steel and super duplex stainless steel. 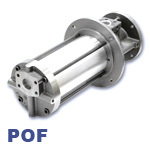 Dissolved Air Flotation is the most common application where the EDUR pump is used to provide dissolved air to a flotation tank to float and remove solids and other wastes. 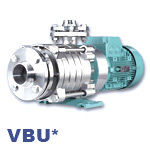 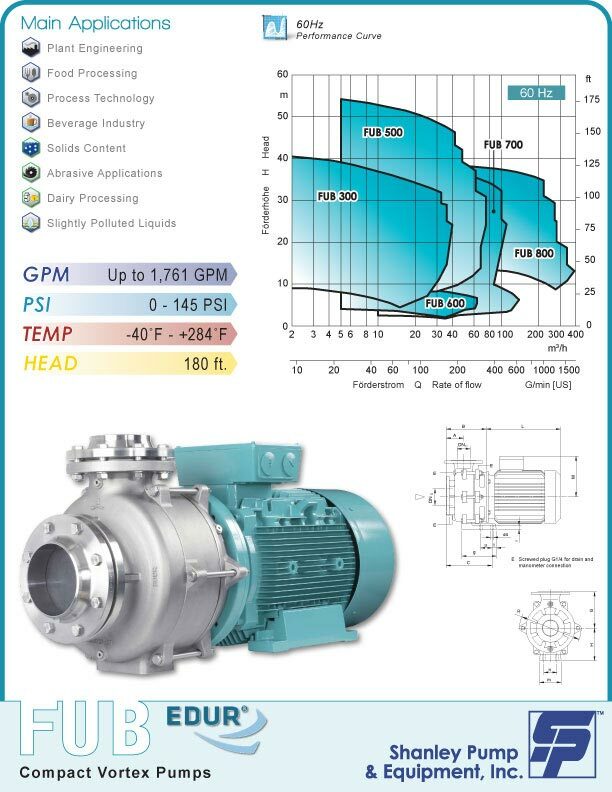 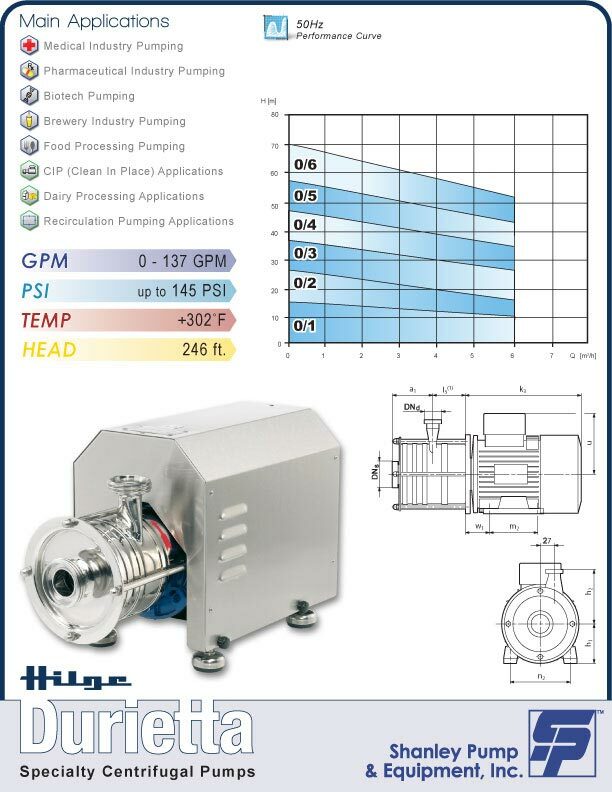 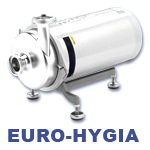 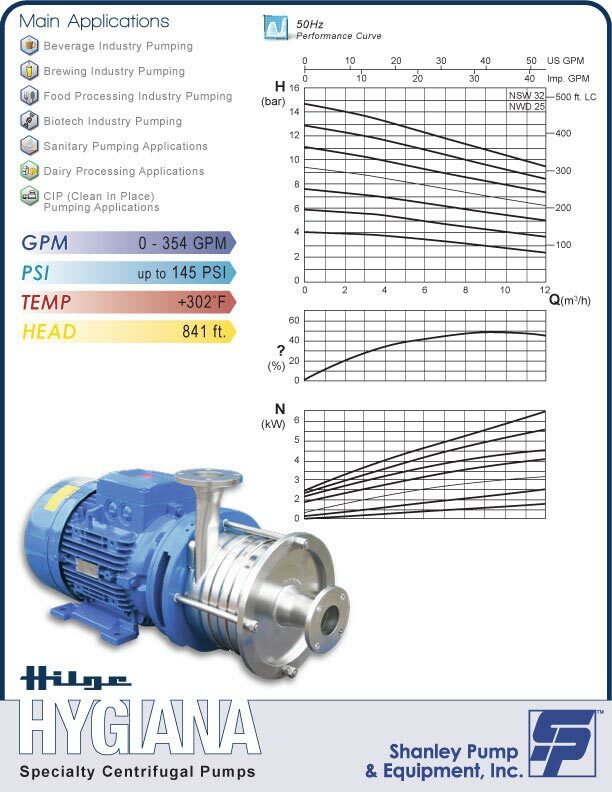 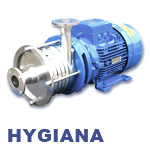 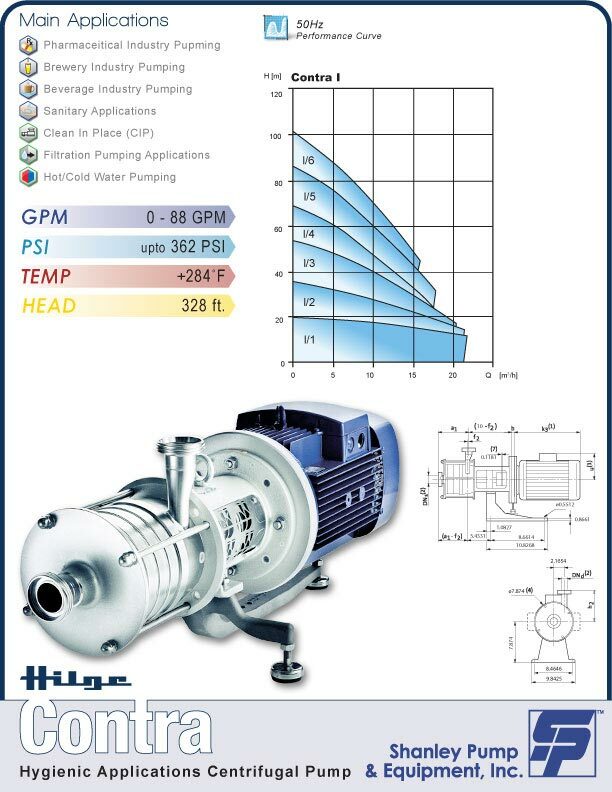 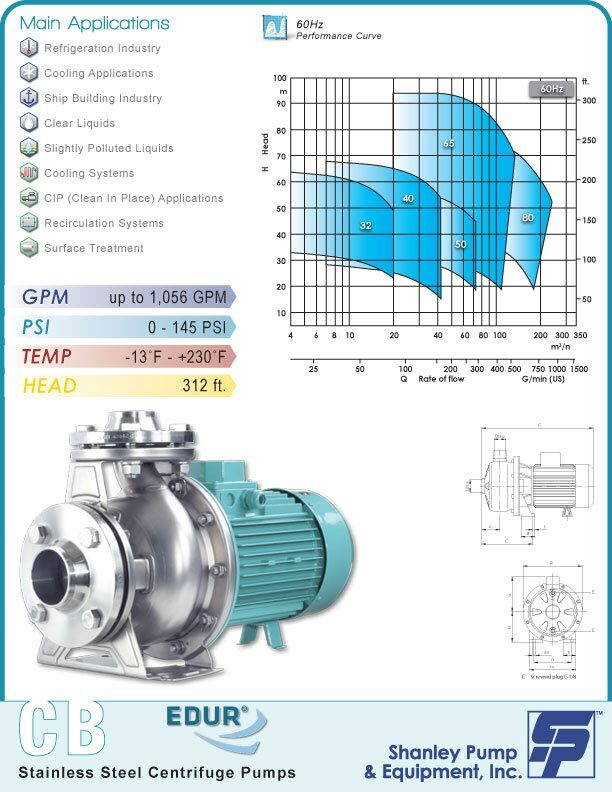 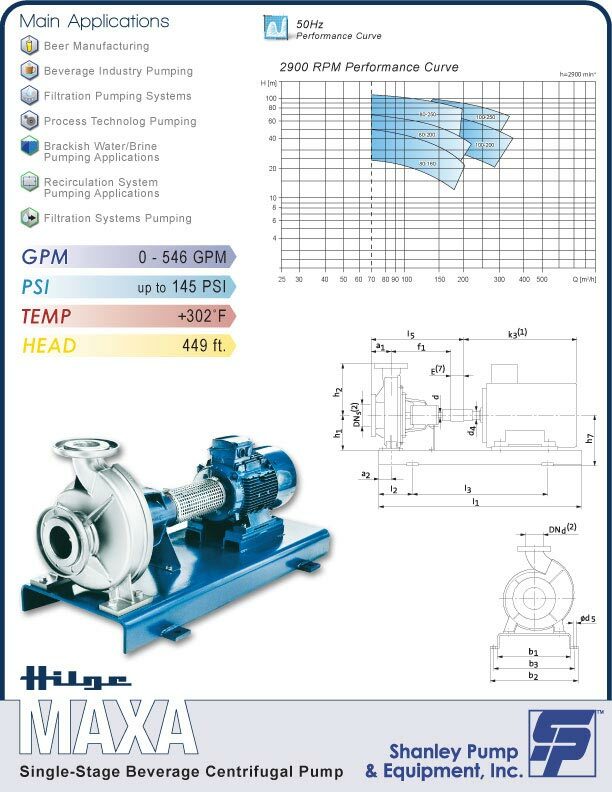 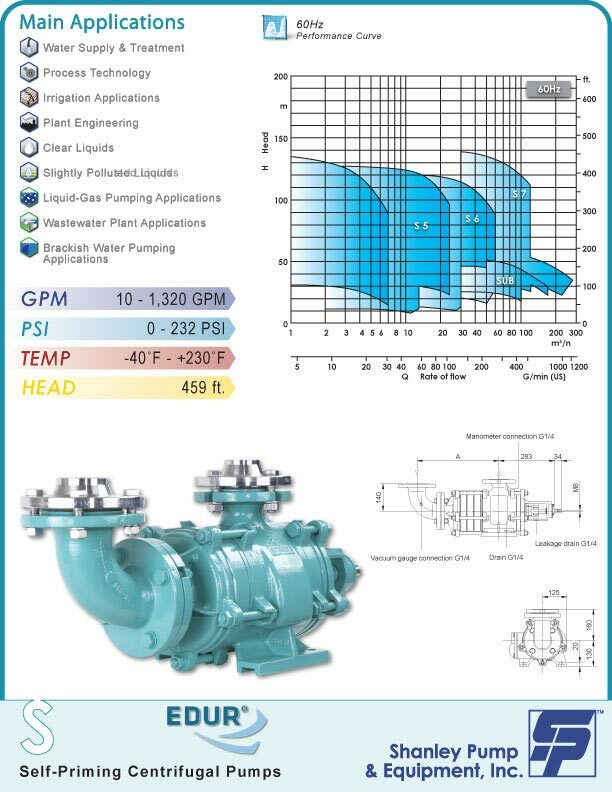 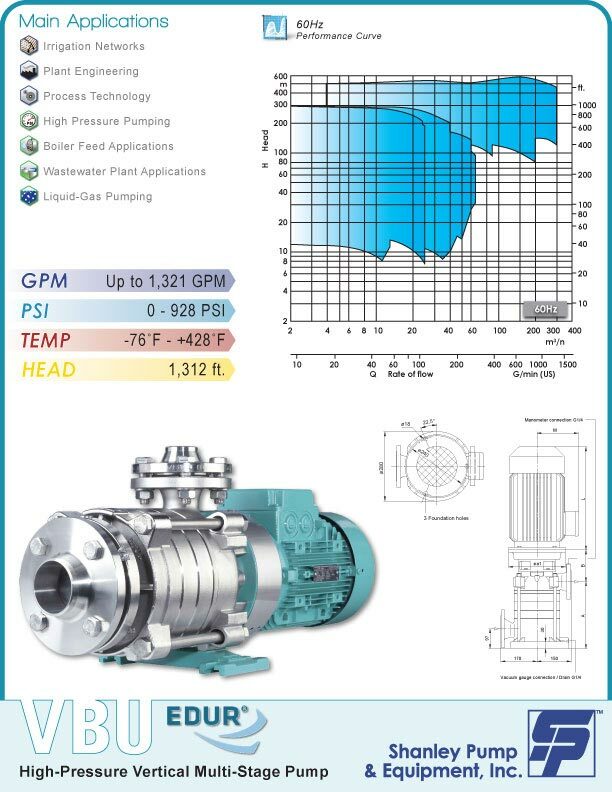 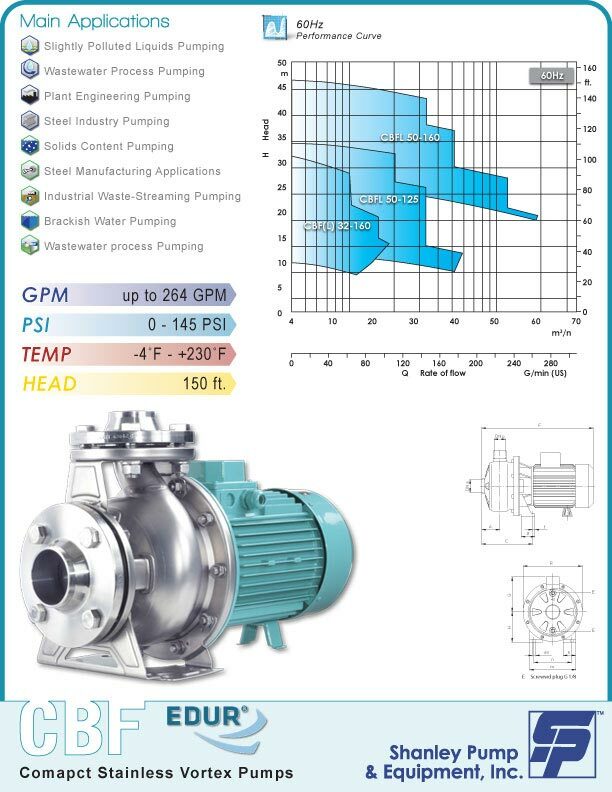 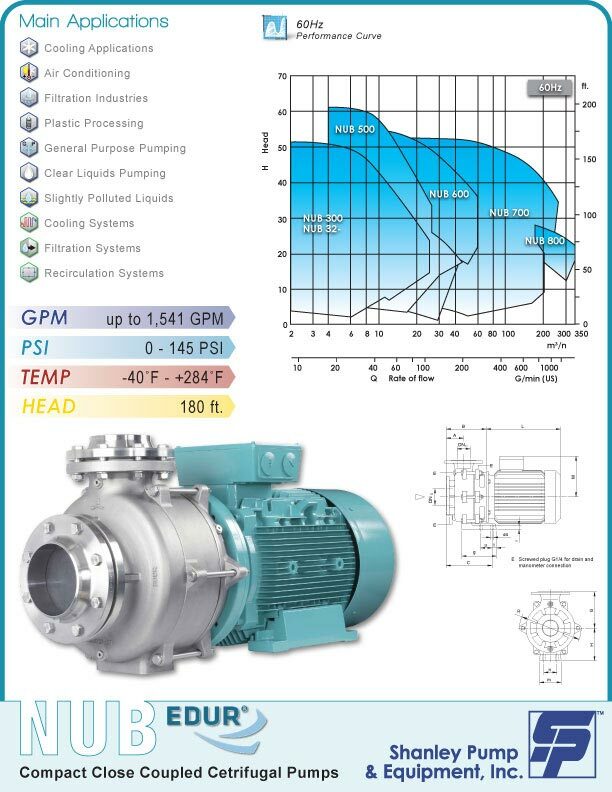 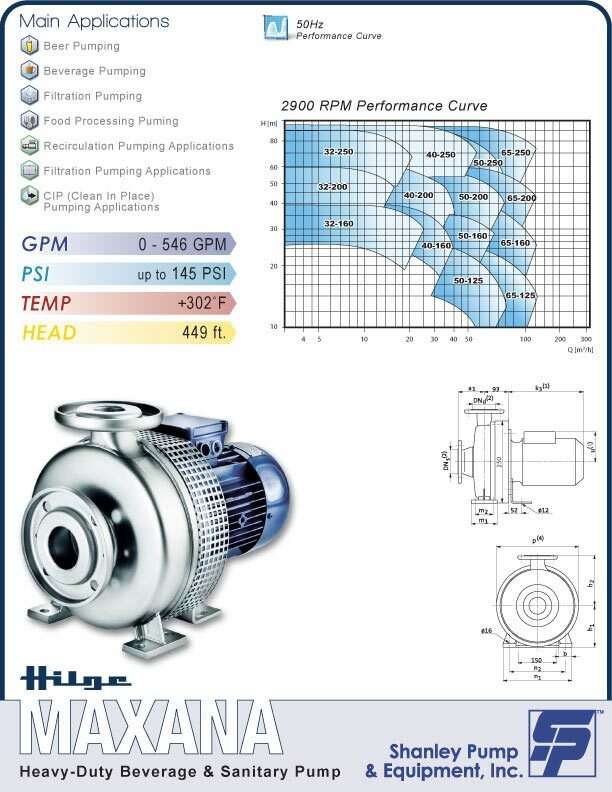 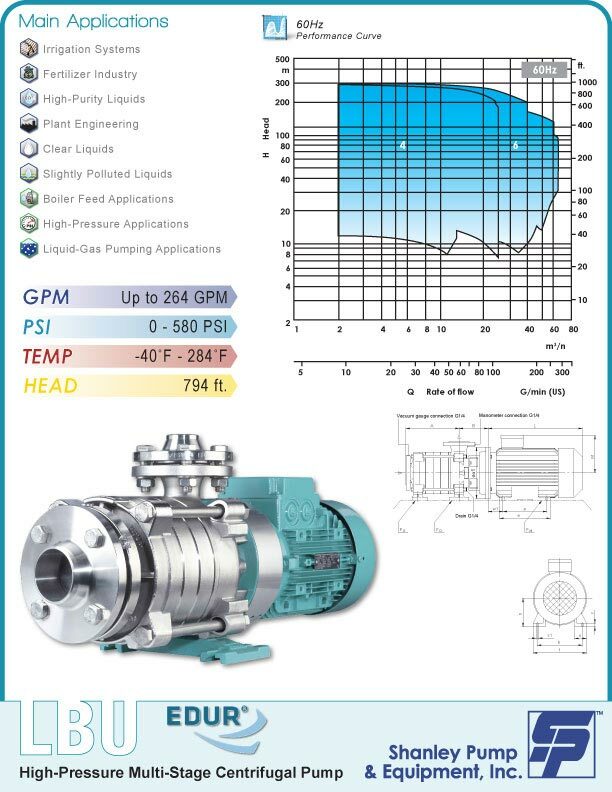 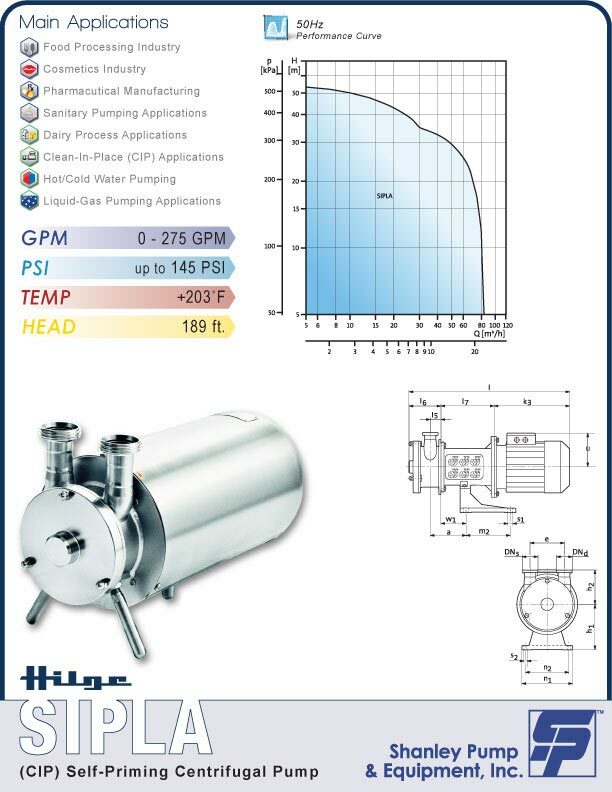 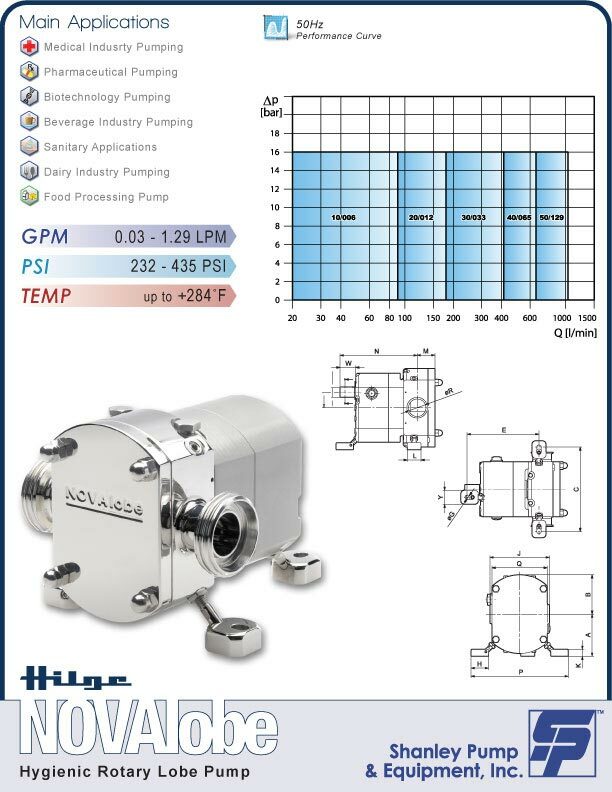 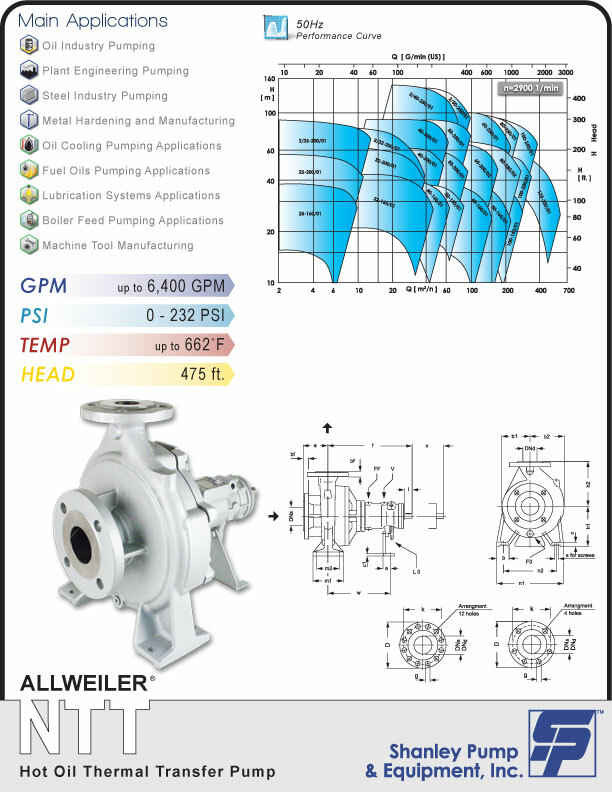 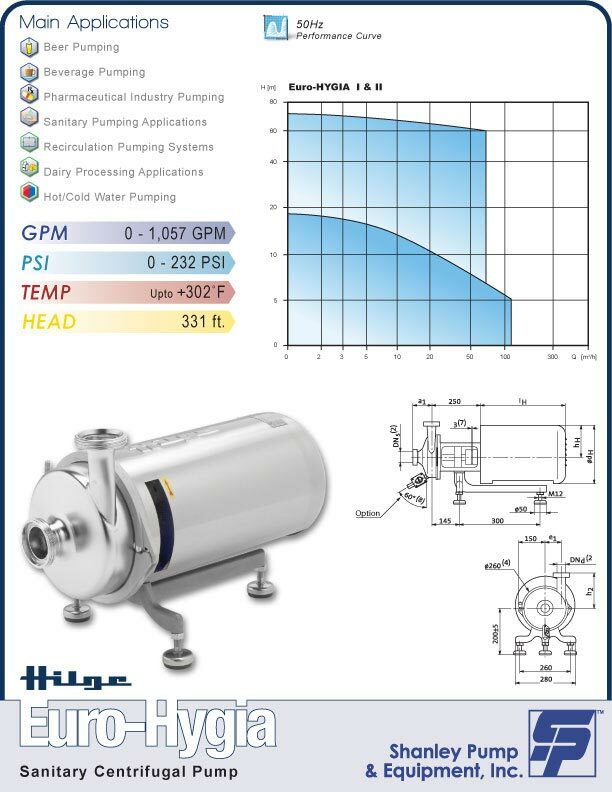 Hilge is a high end sanitary centrifugal pump. 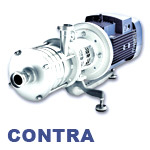 We stock pumps and spare parts. 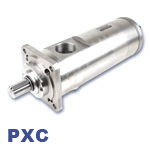 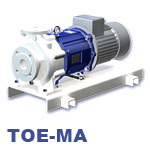 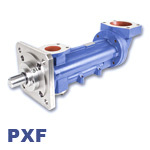 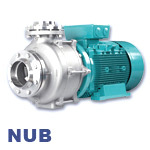 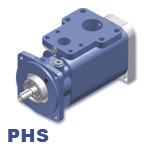 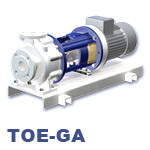 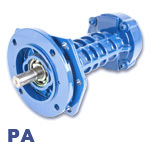 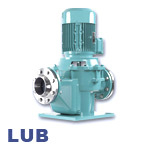 The pumps are made from rolled steel instead of cast parts so the surface finish is superior for sanitary applications. 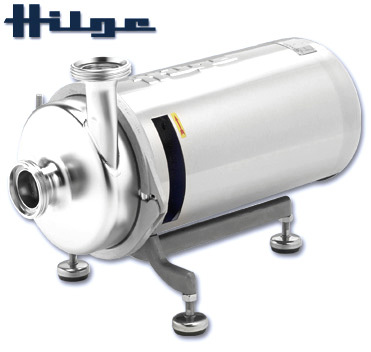 The pumps have been manufactured in Mainz Germany since 1867 and all German breweries use Hilge pumps. 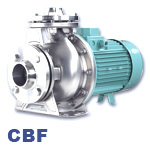 These are popular horizontal centrifugal pumps that are capable of pumping thermal oil at temperatures up to 660° degrees Fahrenheit (350°C) and require no additional coiling. 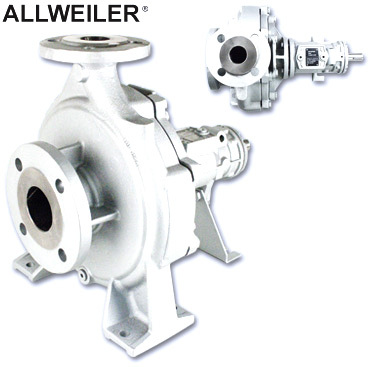 We can also offer higher series of thermal oil pumps like the new Allweiler® CNH-ML. 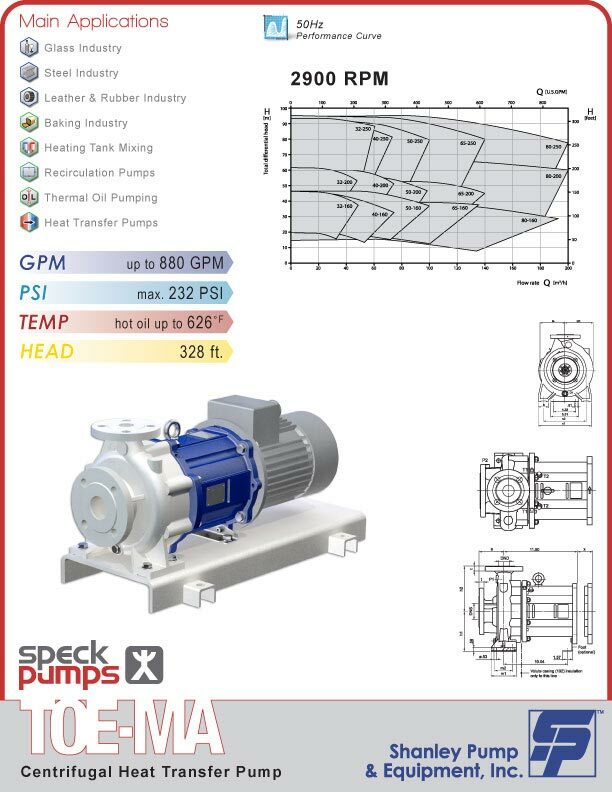 Speck centrifugal pumps offer superior transport and recirculation of organic heat transfer oils on mineral and/or synthetic oils. 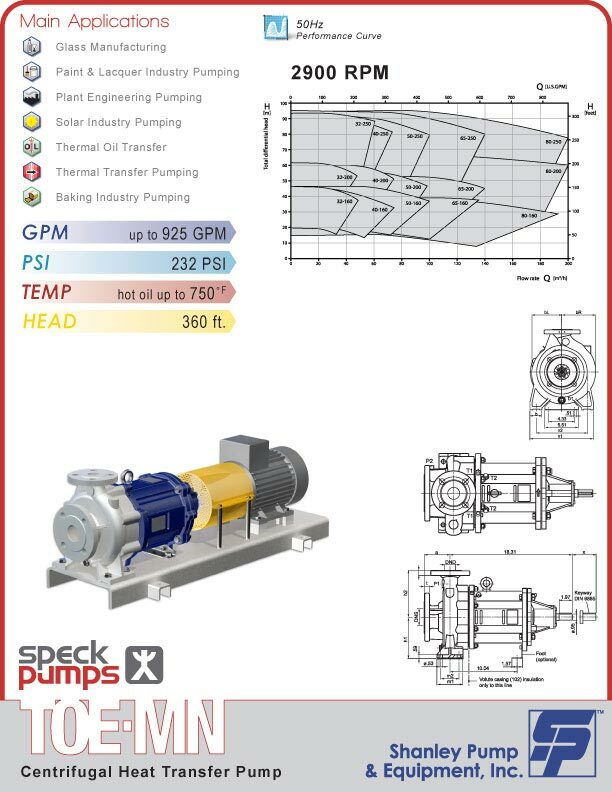 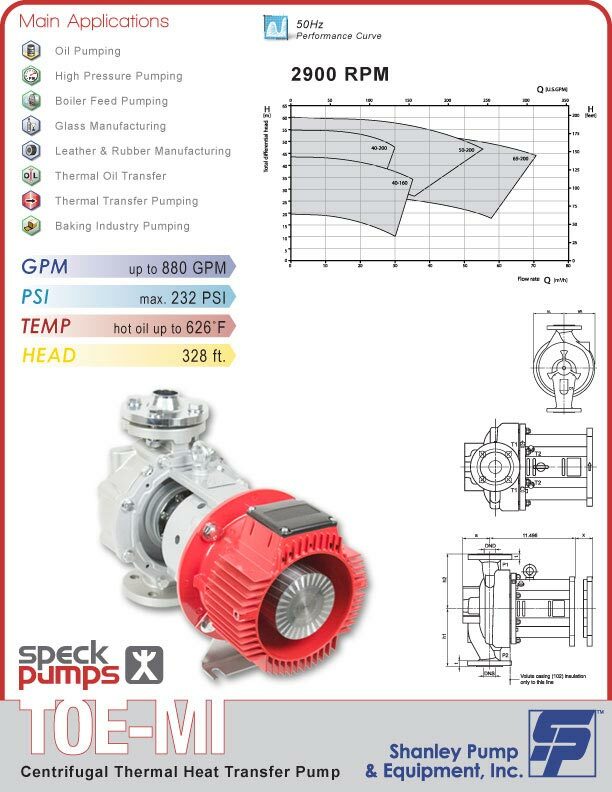 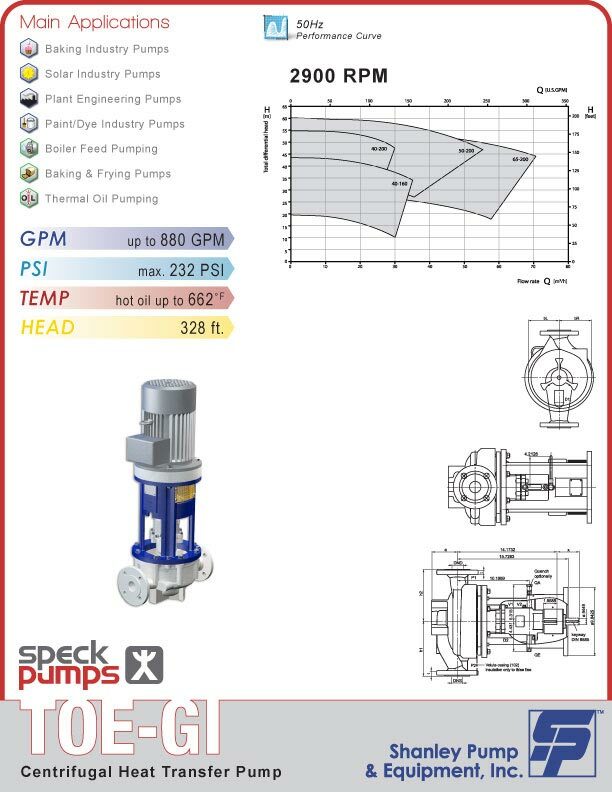 Speck Pump is recognized as an industry leader in hot-oil transfer pumping with flow rates up to 880 GPM on some models as well as Mechanical and Magnetic seal options. 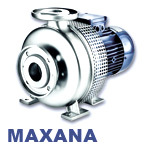 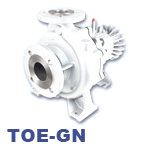 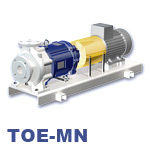 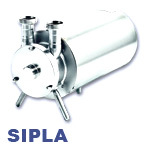 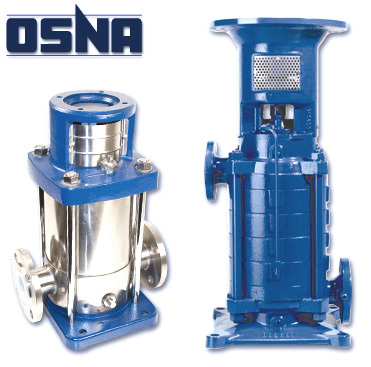 We stock high-pressure boiler feed pumps made by OSNA. 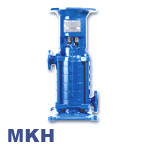 This heavy-duty pump series in our inventory is rated from 10 to 1000 gpm at up to 1000 feet of head. 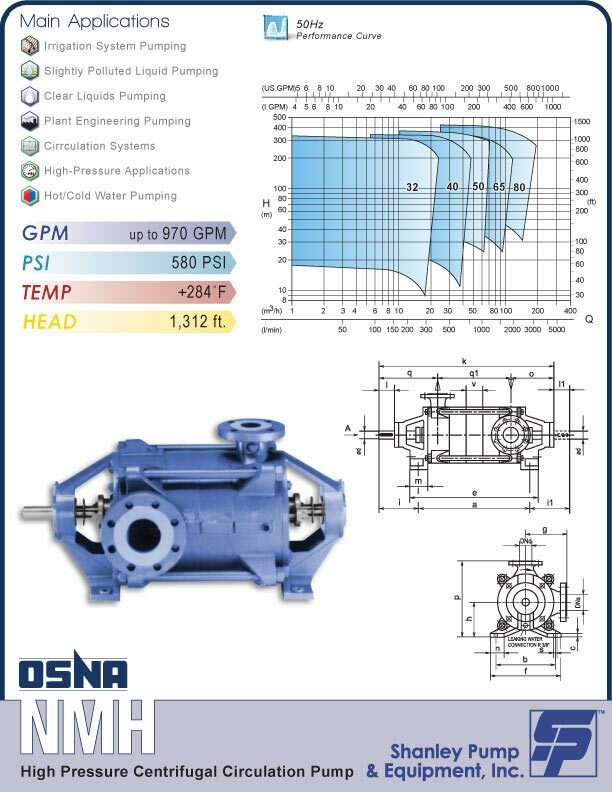 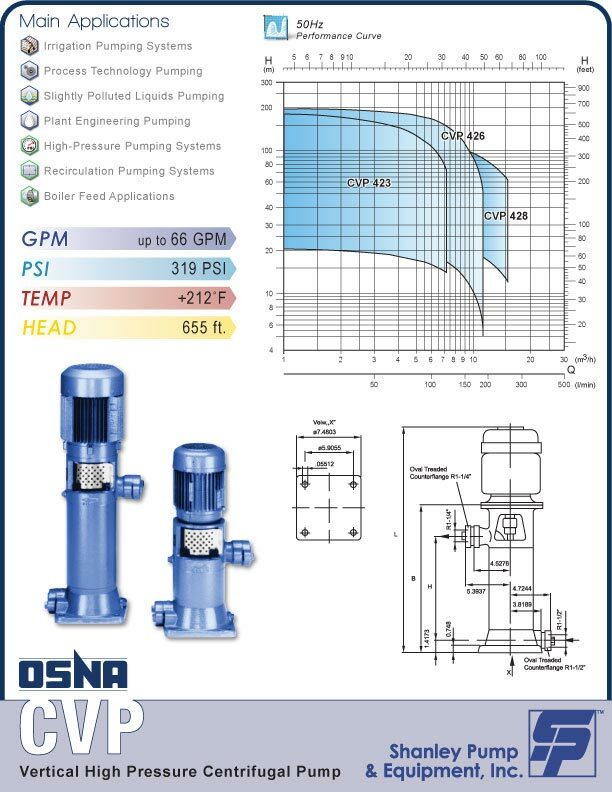 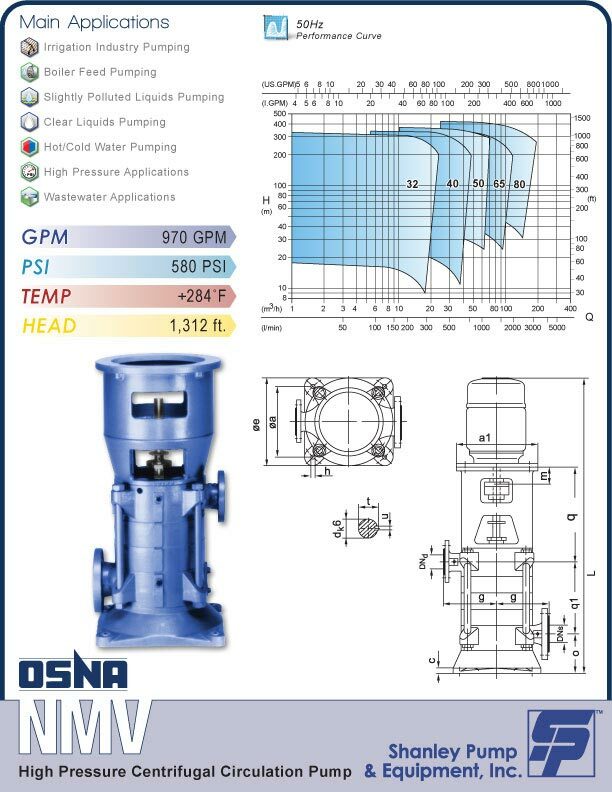 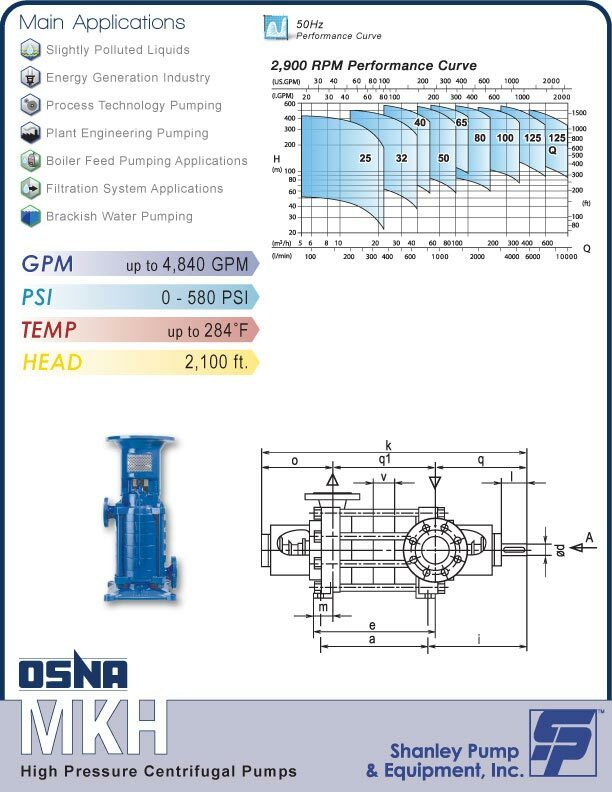 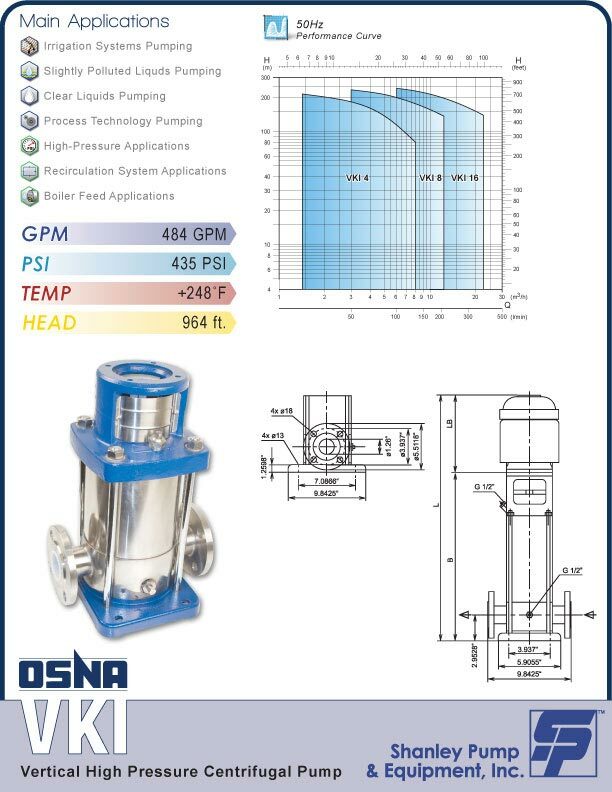 OSNA also has other series of pumps available for pumping applications up to 4800 gpm and at discharge heads up to 2100 feet. 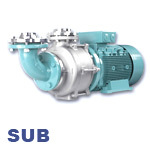 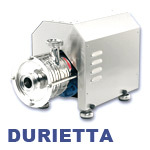 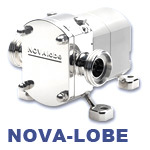 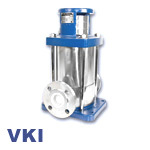 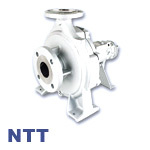 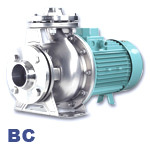 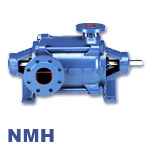 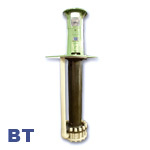 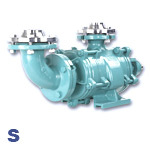 The pumps are available in cast iron, bronze and stainless steel. 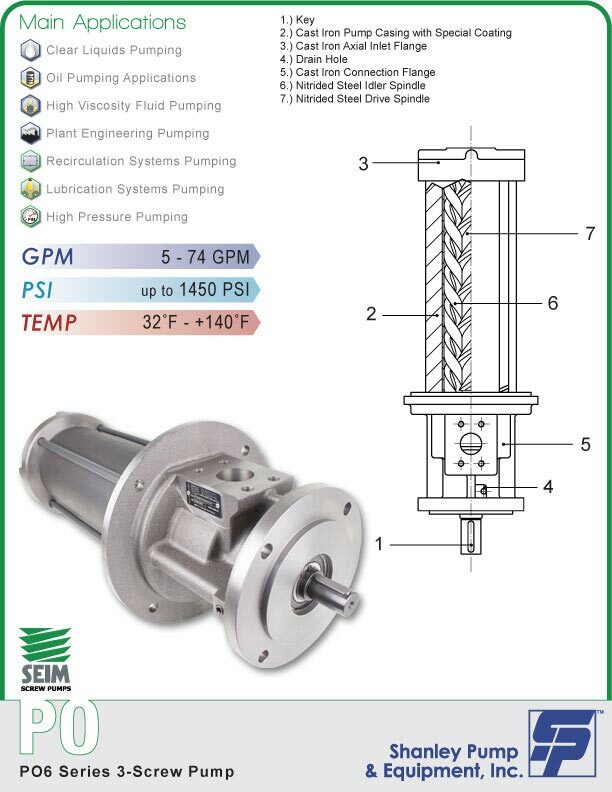 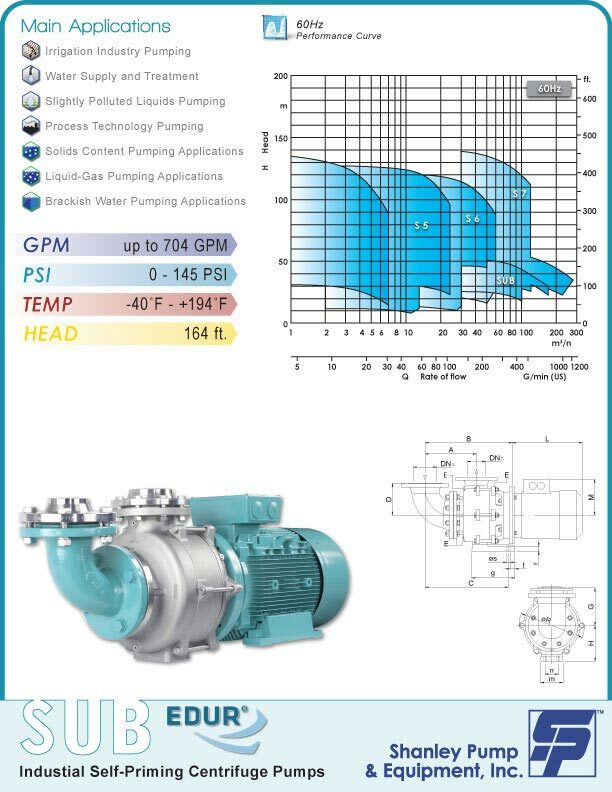 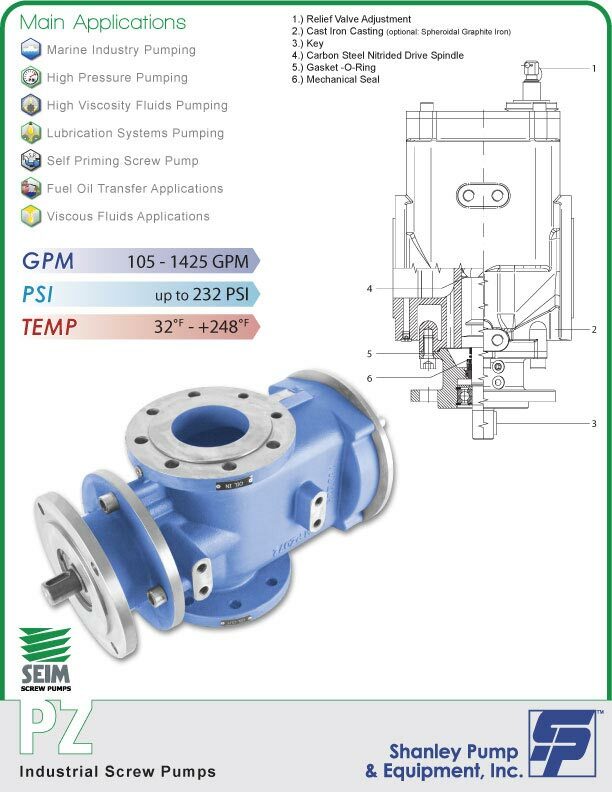 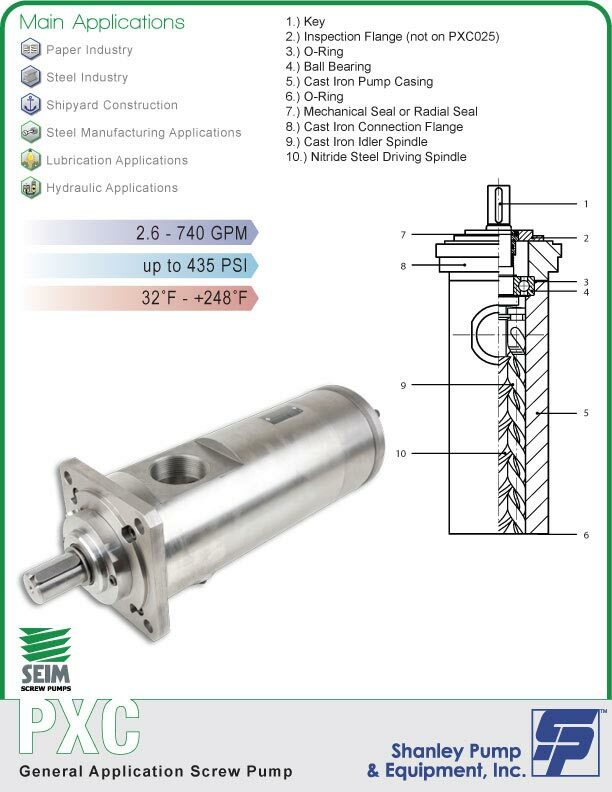 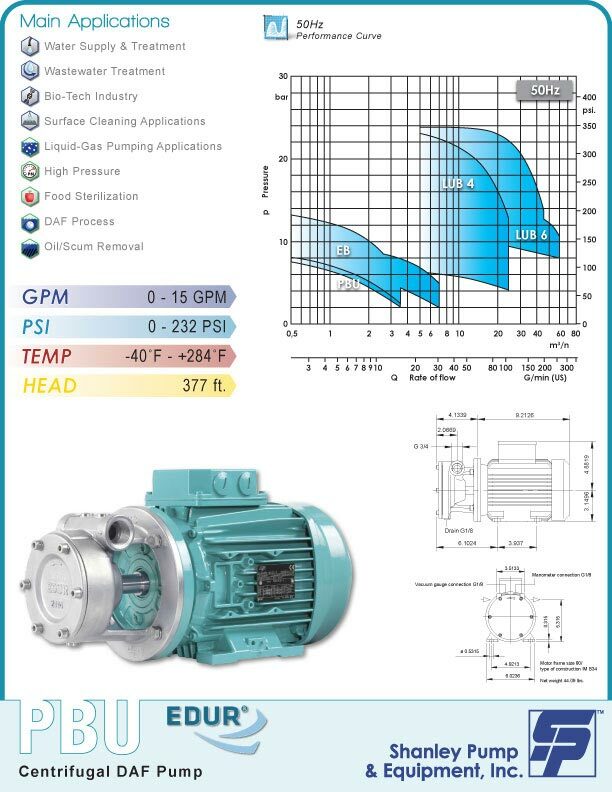 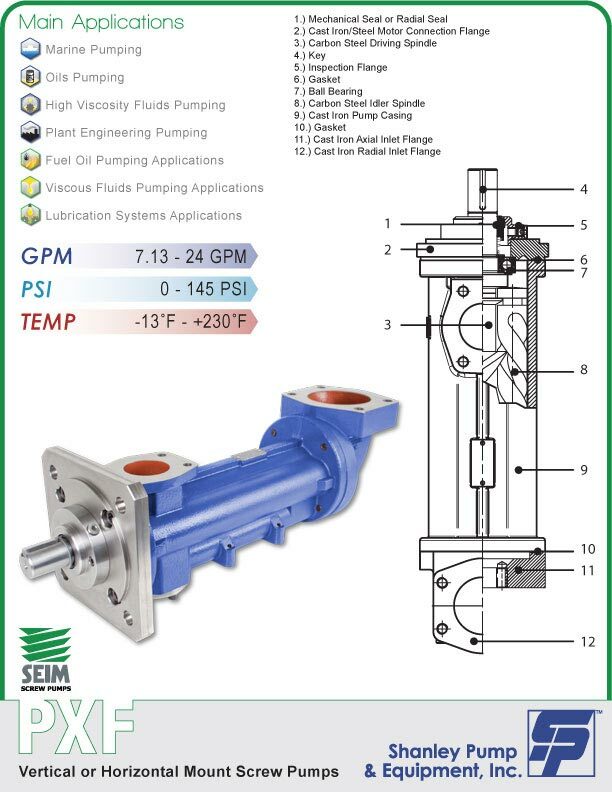 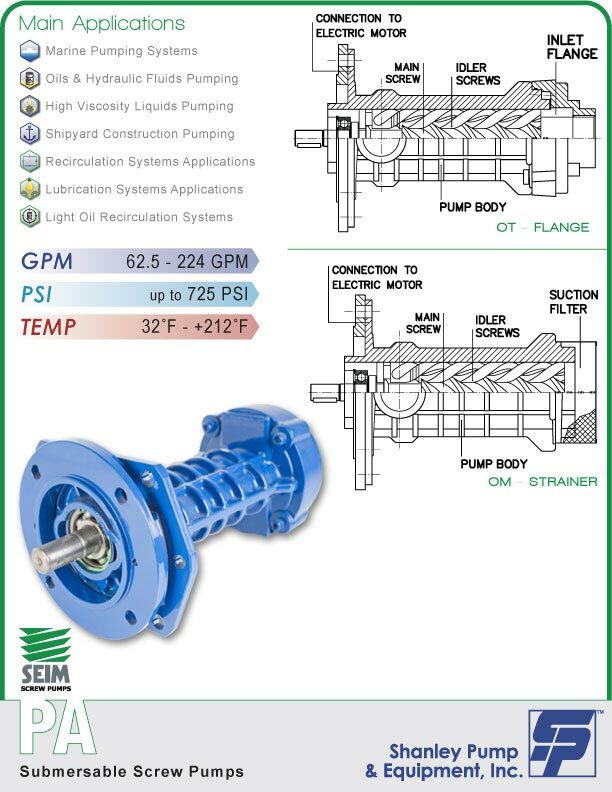 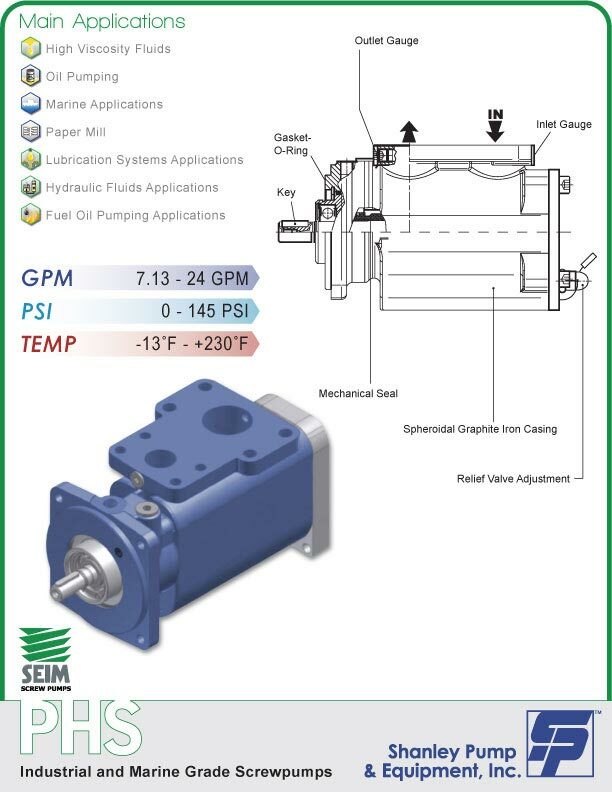 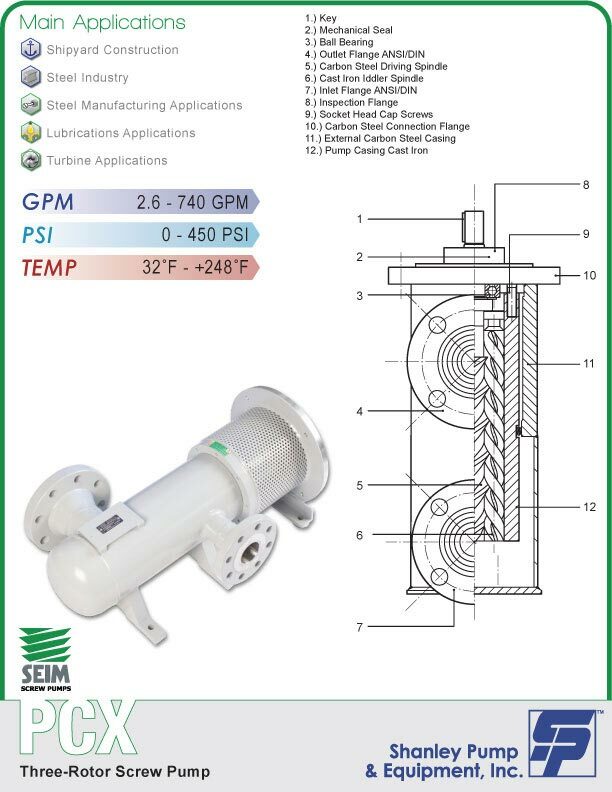 SEIM offers a high quality and innovative three rotor pump which is ideal for OEM lubrication applications of heavy equipment like compressors, gearboxes and turbines. 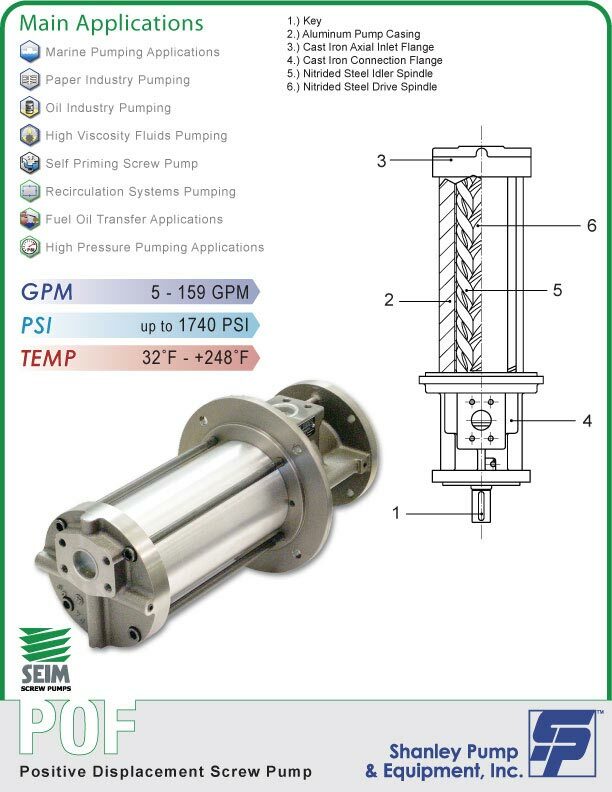 We also carry SEIM Screw Flowmeters for accurate flow measurement of viscous fluids and fuels such as Diesel. 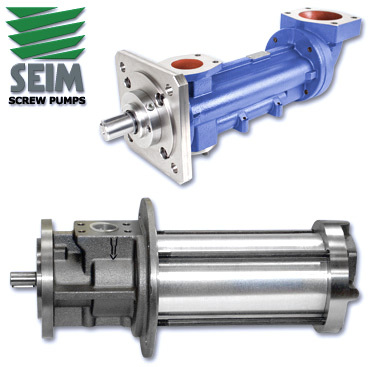 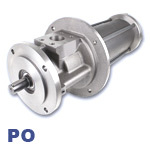 We stock several series of three rotor pumps at Shanley Pump and Equipment, Inc. We stock *Allweiler® brand pumps and spare parts and we also stock SEIM brand 3-Rotor screw pumps and spare parts. 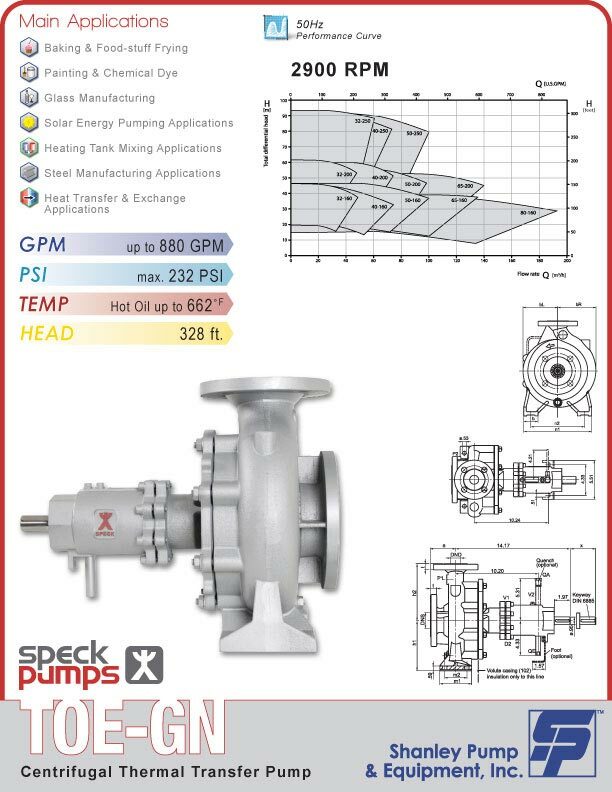 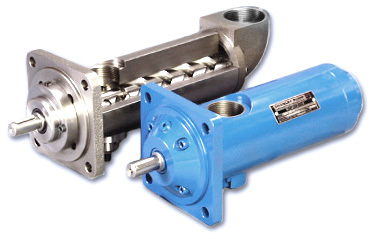 The Shanley Pump and Equipment, Inc. brand of 2 rotor screw pumps is a heavy-duty pump that is ideal for larger flow applications like crude oil loading and unloading for shipping and tank farm applications. 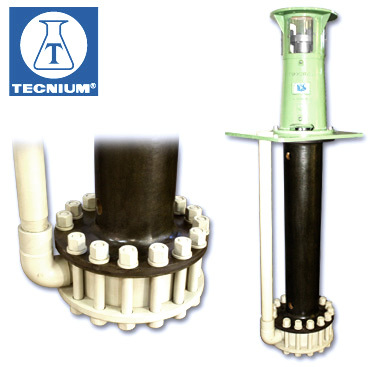 Tecniums safe, reliable corrosion resistant thermoplastic plastic construction is ideal for highly corrosive and abrasive pumping mediums. 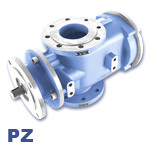 The Impeller and Casing of this pump are machined, NOT MOLDED adding strength and reliablitly during industrial applications.